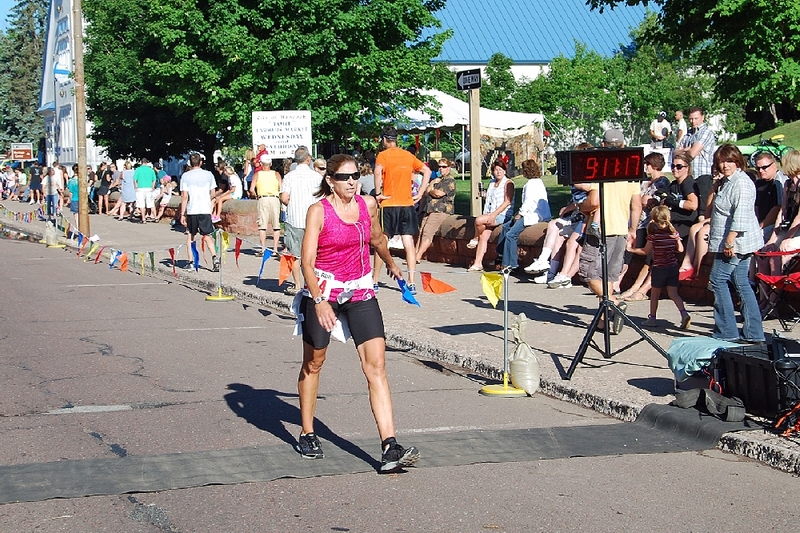 The 37th annual Portage Health Canal Run was held on Saturday, July 21st, starting at McLains's Park and finishing in downtown Hancock. Some 640 contestants took part in one of the events or another, the 5 mile Walk/Run; or the 10 mile Walk/Run. The weather was perfect, at 72 degrees and clear skies, following a strong overnight thunderstorm that brought down some trees locally. Other media personnel joined this photographer, as we awaited the first contestant to arrive at the Finish Line. 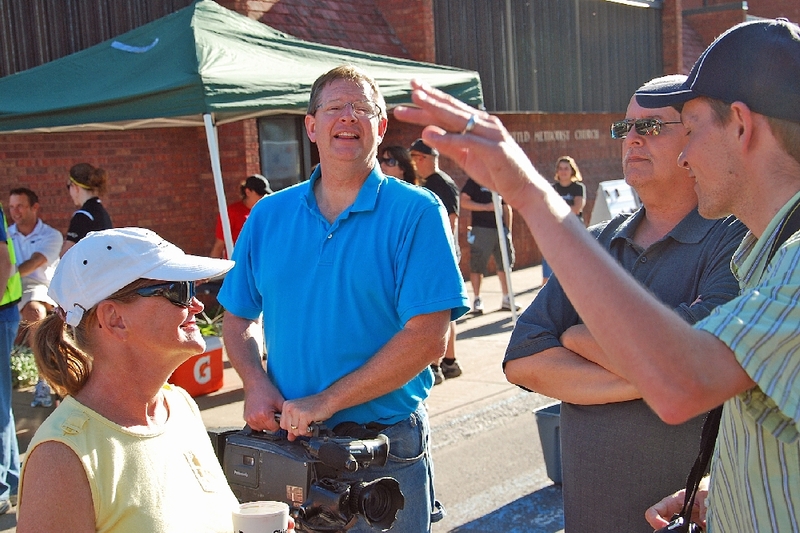 (l) Mary Ann Schmidt-WMPL; Mike Ludlum-WLUC-TV; Dirk Hembroff-WMPL; and Steven Anderson-Daily Mining Gazette. 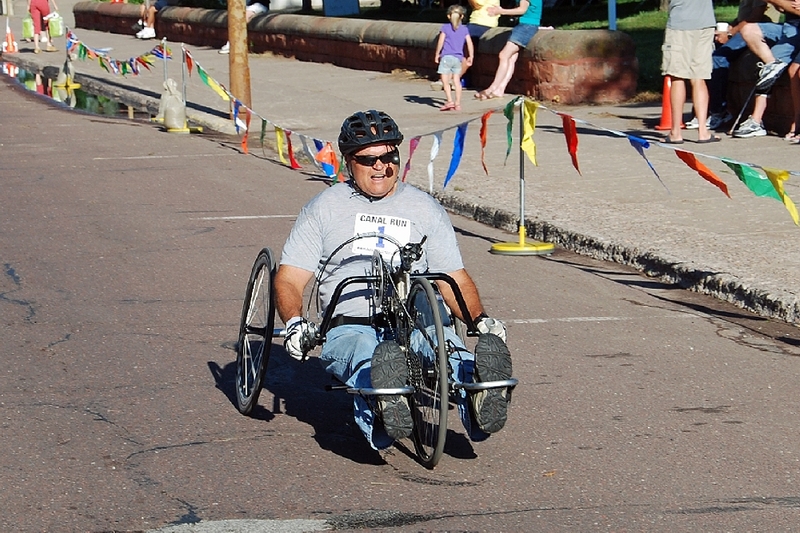 Wheelchair contestant Dean Juntinen, of Mass City, MI, came in at 0:44:17.3 . 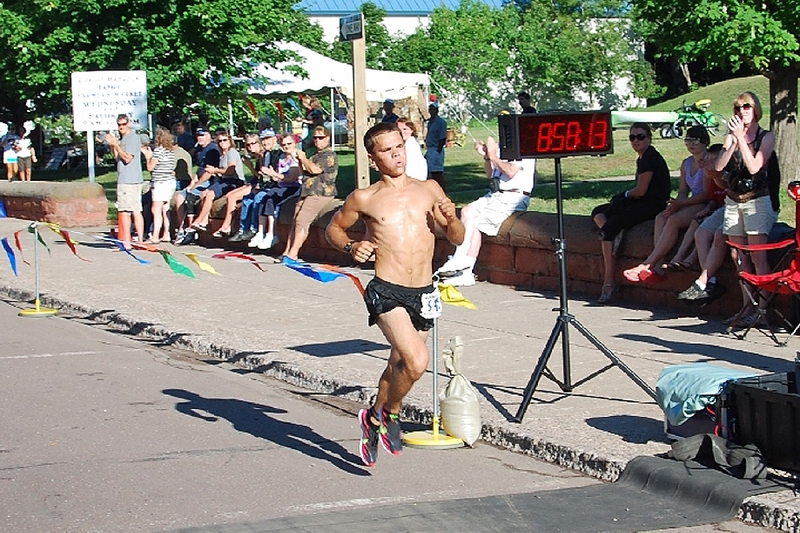 First Place in the 10 mile Run went to Jonathan Kilpela, Atlantic Mine, with a time of 0:56:16.5 . 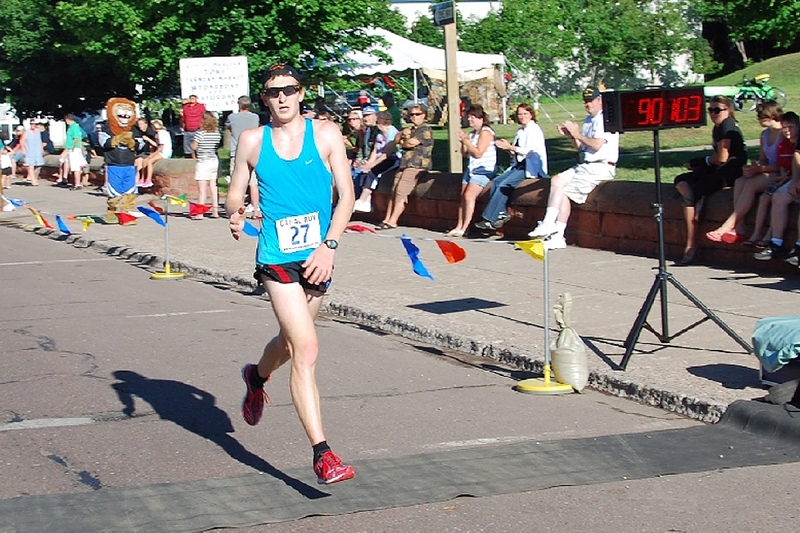 Second Place in the Men's Division went to Bradon Kampstra, Hancock, with a time of 0:59:06.2 . 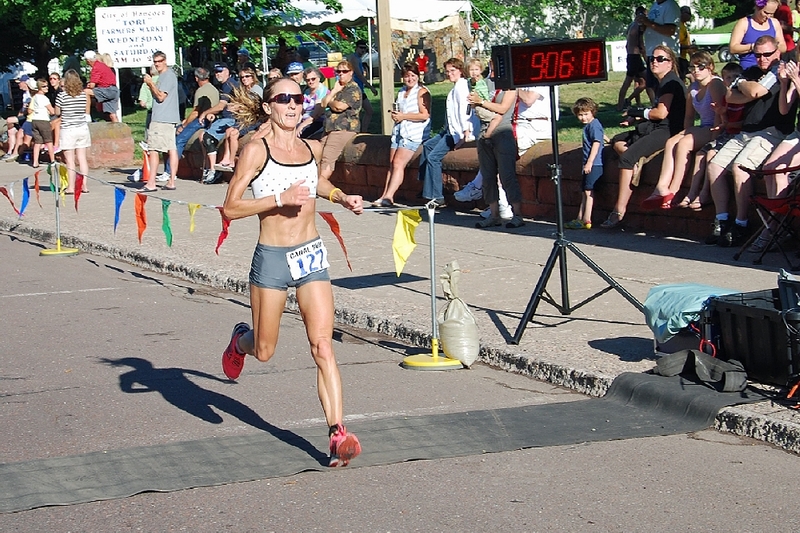 First Place in the 10 mile Run Woman's division went again to Amy (Hausworth) Janeshek, Hancock, with a time of 1:04:20.8 . She came in fourth overall. 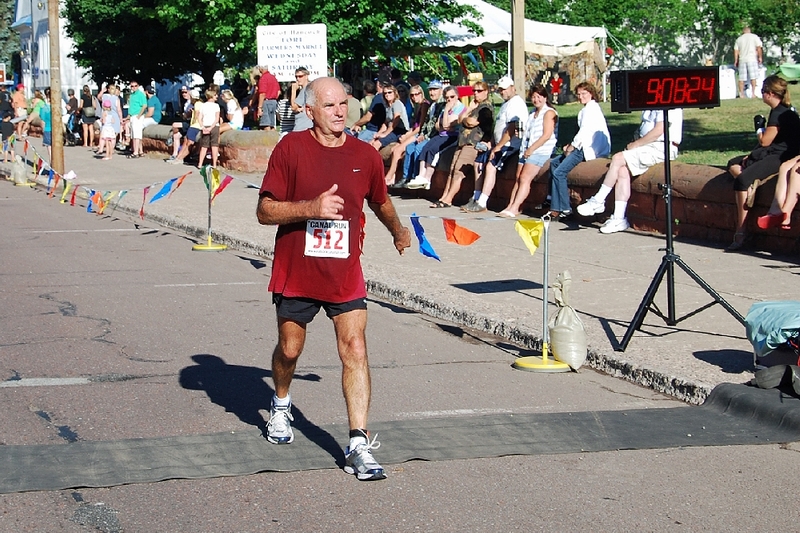 First Place, Men's Division, 10 Mile Walk, went to Tim Bennett, L'anse, with a time of 1:53:26.6 . And first Place, Women's 10 Mile Walk, went to Yvonne Watwood, Houghton, with a time of 1:56:20.6 .